Drains – boring and smelly, but oh so useful! Drains are something we never think about until something goes wrong. And when they do go wrong…Help! What do we do now? As the old adage goes, prevention is better than cure. This is why Wicklen offer an inspection service that doesn’t cost the earth but does detect a problem before it becomes a crisis. Buried beneath the ground, drainage pipes can leak, undetected, for years. This can be responsible for two of the most unwelcome visitors to any household – rising damp and subsidence. Investing in a regular inspection means peace of mind and the avoidance of these major problems. Here’s that number again – make sure you put it in your book: 01543 480 301. Call Wicklen today for a drain inspection or keep it for the moment you need a trusted drainage company. Your drains will thank you. With great reviews on the Checkatrade website and a Which? magazine recommendation, you can place your trust in Wicklen. They are also Trustmark accredited, a government endorsed standard that shows they demonstrate good trading practices, good customer service and technical competence. You need only one number in your contact book: Wicklen, 01543 480 301. You may not need it this week or even this year but when your drains make their presence felt, Wicklen can help. Wicklen is a local family company that has been keeping the water flowing to and from houses in the Midlands for over 40 years. 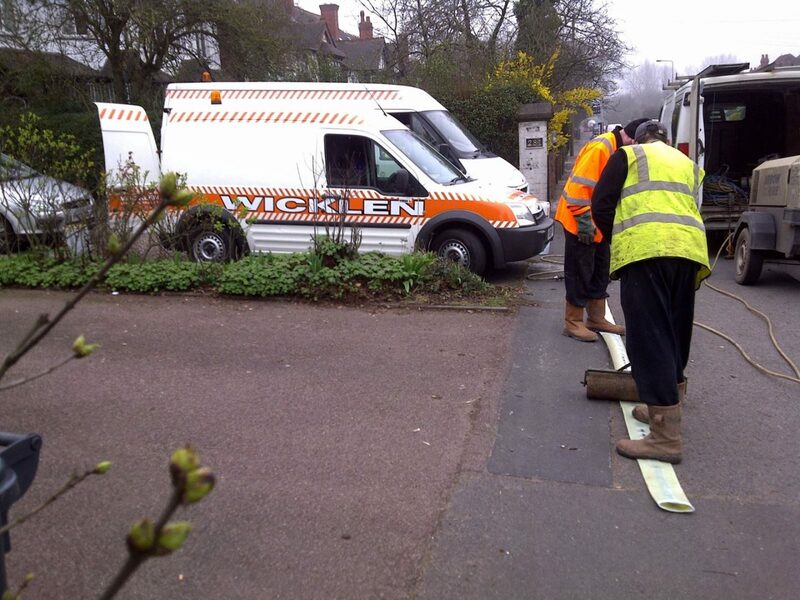 Whether it’s unblocking drains, repairing broken pipes or installing complete new drainage systems, Wicklen know their drains. With state of the art detection equipment, you can take a virtual tour of your drains (and who wouldn’t want to do that?) Once a problem is identified, Wicklen will excavate the pipes, repair or replace them and put everything back just as it was.